By appearances alone, it’s hard to imagine a more genteel city than Edinburgh — or one less suited to Raymond Chandler’s famous “mean streets” quote. 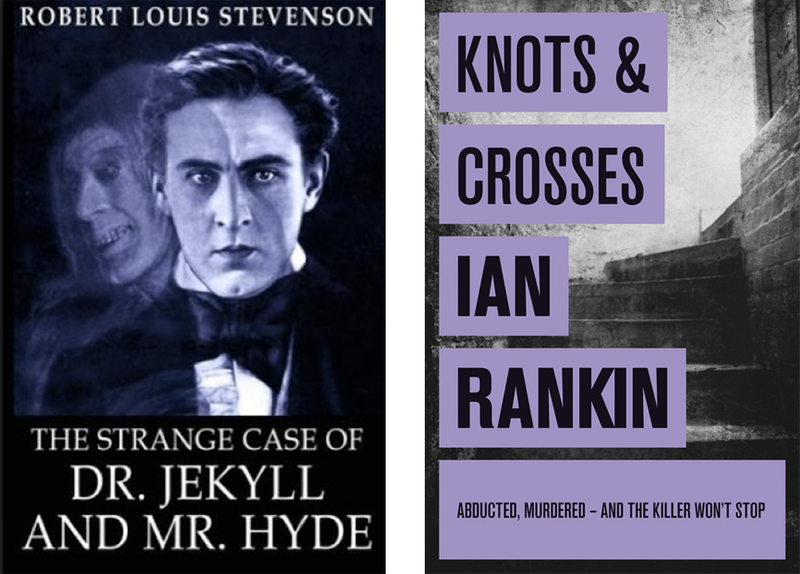 Yet appearances often deceive, and Edinburgh’s mean side is well known to John Rebus, now nearing his thirtieth year in print. DP: Your thesis at Edinburgh University wasn’t exactly about Stevenson, but you did look at him? IR: My thesis was about Muriel Spark, so yes. Her Miss Jean Brodie was descended from Deacon Brodie — the gentleman by day, thief by night. Stevenson’s nursemaid would have told him the story. 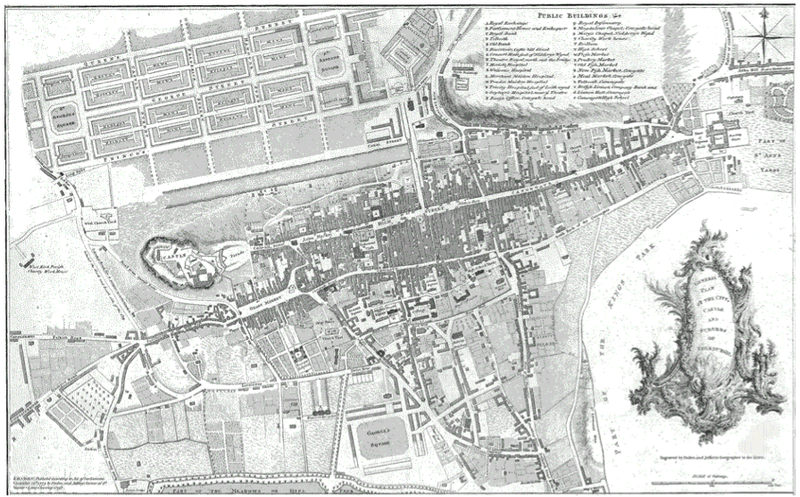 When I arrived in Edinburgh — the New Town and Old Town — it was inextricably a Jekyll and Hyde city; it’s in its structure, the plans. DP: Yet Stevenson set his novella in London … I suppose to popularise it, turn it into more of a universal fable? IR: Well … we don’t know that. We don’t know what was in the first draft, because he burnt it. Maybe the first draft was too close to home, and Fanny [RLS’s wife] told him to get rid of it. IR: It would have been horrible. It would have been full of drunks and vagabonds and prostitutes and thieves and you name it, and Stevenson was obviously attracted to that side of life. IR: When I first started doing my PhD, they took us on a tour of the National Library of Scotland, and into the bowels of the building where they stored the books. Those were the old cells from the court house. It was thematically very relevant because I was trying to write about an Edinburgh that the tourist doesn’t necessarily see, and this was a physical manifestation of that. DP: He became a beast of the underworld in those end scenes. IR: Yes, and he saw Rebus and him as brothers — blood brothers. They’d mixed each other’s blood when they were being broken by the SAS. DP: Then in your second Rebus book, Hide and Seek, there is an even more vivid expression of Jekyll and Hyde in Hyde’s Gym, and the notion of hypocrisy in society. IR: It’s the rich getting their jollies from watching the poor beat each other up. I was really interested in the high and the low and how they mixed in Edinburgh. The high and the low had mixed in the Old Town, until people realised how unsanitary it all was, so the people who could afford to moved away. IR: And then there was this physical barrier between the two of them — a loch, which was drained. It was a physical barrier between those who had and those who hadn’t. It must have been an amazing city at that time, because the enlightenment and the philosophers were coming, yet the city was split — physically split. DP: There’s also the part in your latest book, Even Dogs in the Wild, when Rebus is pondering the vigilante who’s going after the child abusers, and he’s wondering whether it matters that the person is taking the law into his own hands — only to realise that if that doesn’t matter, then neither does he. So there’s also this notion of survival: Rebus’s identity is wrapped up in justice. There’s a tremendous moral complexity in him. DP: What’s remarkable is that all the way through Even Dogs in the Wild, Rebus doesn’t have a warrant card. He is there in a consulting capacity only. But Cafferty will talk to Rebus and not to the other police officers. IR: But that’s the problem I’ve got now with Rebus; he’ll be retired from here on, and I don’t know how much more I can do with him. He can’t work as a private eye. It’s very hard for a British audience to believe in private eyes in crime fiction. DP: There’s not a big tradition of that here. IR: No, there’s not. All I need to find is one story a year that allows me to keep using a retired cop. DP: You only need one! The characters are all there … Can I ask, you said somewhere that if you tried to go for a pint with Rebus, you wouldn’t get on with him? DP: It’s so weird being in this pub, where he drinks. There were plenty of Oxford Bar scenes in Even Dogs in the Wild. IR: He usually sits at that corner over there [*points to the far end of the room*]. The table next to it is usually taken by a journalist, Hayden, who works in here all day. This one we’re sat at now is where I had my stag do, back in … July ‘86. IR: It would be a cheap round for me. Oh, I think Malcolm’s much more like me than Rebus is. He’s cautious by nature, that’s made him a very good internal affairs cop. He prefers to follow the rules and obey orders. 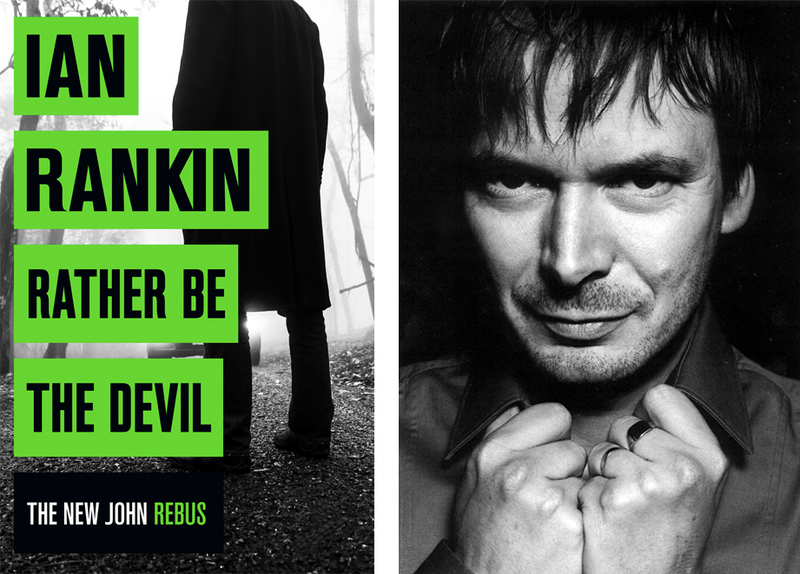 Rebus is a maverick in a way I’ve never been in life, which is why he’s fun to write about. DP: We never know what he’s going to do next. IR: I never know what he’s going to do next. DP: I saw that brilliant thing you did online with Sarah Hilary, where you talked about plotting — and how essentially you don’t. IR: So much of it is improvisational. The way a book comes to me is a kind of rough magic. Where do the stories come from? Sometimes they decide on a certain route that isn’t the route you thought they ought to go down. IR: I don’t know. How do you work? I mean, I know a lot of writers who need to know what’s going to happen. James Ellroy famously did a three hundred-page synopsis. I do a two-page synopsis. IR: There was a book that came out recently about Lee Child [Reacher Said Nothing], which is very similar; he doesn’t know the ending before he starts. He doesn’t know from chapter to chapter where it’s going to go. DP: The pub’s pretty quiet today, but if this was a busy time, presumably you’d be recognised? — Is that easy and comfortable for you? I mean, do you ever get nostalgic for 1986, and the time you had your stag do here, when you could do what you wanted? IR: I still can, to a large extent. I was thinking about this a while ago. I was at a crime fiction festival in Lyon last year, and I was looking at a large queue, not knowing who it was for. And then back stage I was introduced to the author, and it was John Grisham. But I wouldn’t have known by looking at him. If Dan Brown came in here, I wouldn’t know who he was. Even well known writers are fairly anonymous, the bulk of them. IR: Yeah, you’d probably recognise her … but you might not, if she put a hat and dark glasses on. She used to sit in cafés till fairly late on in her writing career. She sat in a café round the corner from where I live, and she wouldn’t get bothered. People in Edinburgh don’t really bother you. I come in here especially during the festival, and there will be a few folk in from Canada, or Spain, or Germany — fans of Rebus. But they’re not looking for me, they’re looking for him. Occasionally, I’ll be standing at the bar down there. People will come, and you can tell they’re Rebus fans, but they won’t even notice me because I don’t look like him. I don’t look like I’m going to be trouble. DP: The new Rebus book out in November: you’re going back in time? IR: Yep, to October 1978. It was fun to go back. DP: That was when you first came to Edinburgh? 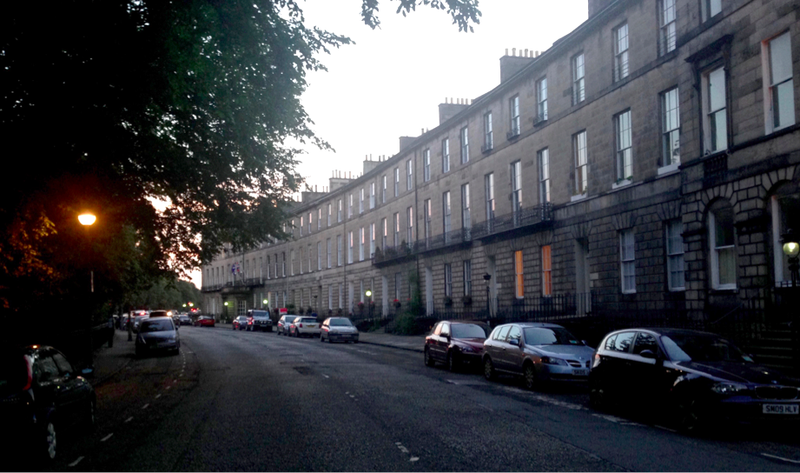 DP: I was walking through Marchmont [where Rebus lives] yesterday … there’s a lot of money in this city. Especially round here [in the New Town], though I guess that’s always been the case. IR: But it’s quiet money, it’s not showy. Very few people here are driving around in Ferraris or Lamborghinis. These are people who’ve made their money in the invisible industries, where a certain amount of discretion is required. So you don’t flag up your wealth. DP: All the more interesting to mine for story material. IR: Yeah yeah, because it’s what’s happening just below the surface. DP: And the title? Rather Be the Devil? IR: It’s that old thing about the devil having all the best tunes. If you get the chance to be devilish, it’s very tempting. DP: Hyde again? What, are you re-writing Stevenson’s ending to put the devil in the ascendant? IR: It’s what all crime fiction is predicated on: what makes us human beings keep doing terrible things to one another? DP: I can’t wait to read it. And then you’ll be breaking ground on the next Rebus? IR: Actually no, I’m taking a year off. I don’t know if I’ll sign another contract. I don’t know if, or when, there will be another Rebus. DP: Do you enjoy doing that? IR: I like meeting readers. DP: I’ll turn the voice recorder off now …. 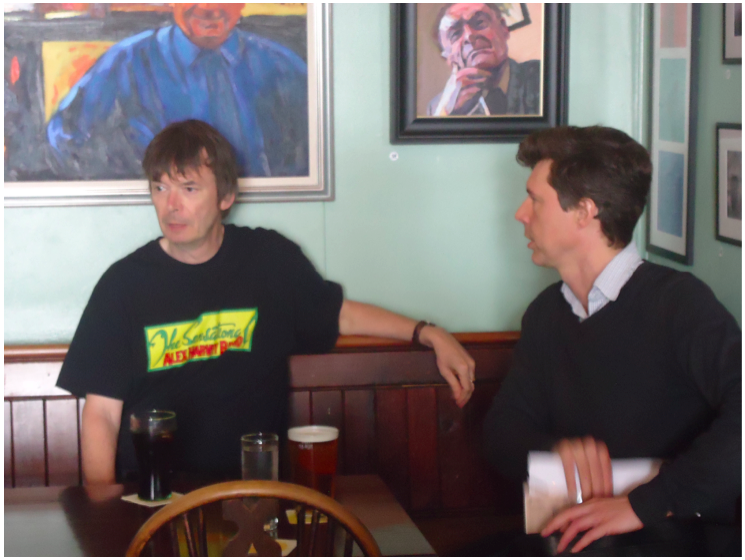 Ian Rankin was both an undergraduate and a postgraduate student at Edinburgh University, where his PhD thesis looked at RL Stevenson’s Jekyll and Hyde (among other subjects). He went on to become the most widely read crime novelist in the UK. The Inspector Rebus books have been translated into more than twenty languages, and the latest instalment, Rather Be The Devil, is out with Orion on 3rd November. Daniel Pembrey studied Economic and Social History at Edinburgh University. 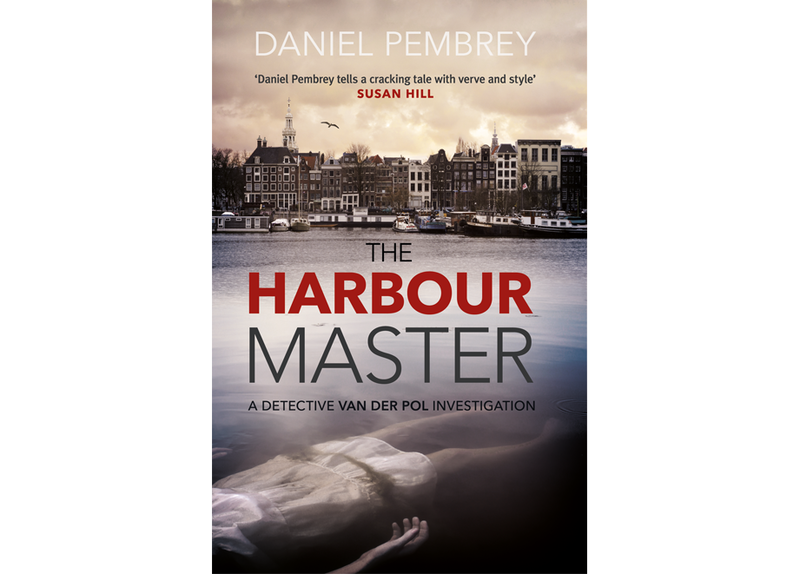 His debut Amsterdam detective novel The Harbour Master is out with No Exit Press on 22nd September.